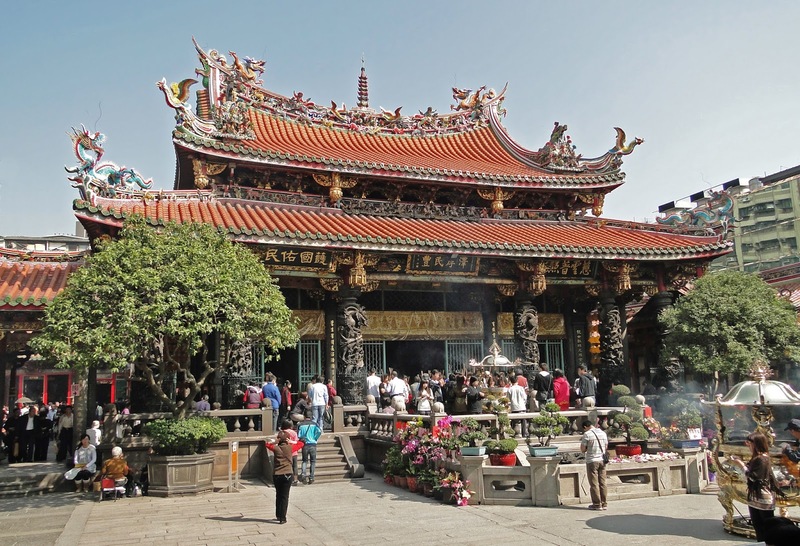 Longshan Temple is the most well known temple in Taiwan and is located in the old village of Taipei, Wanhua District. Longshan may also be spelled and pronouced as Lungshan Temple, it is one of the oldest temple in the country. The temple is for worshiping Guanshiyin Budda and other divine spirits. The temple was built in 1773 Qianlong 5th year in Qing Dynasty. 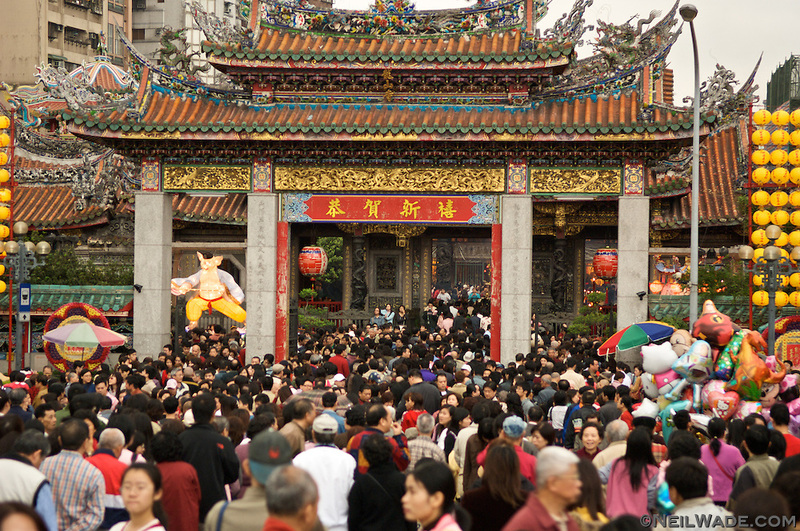 The residents of Taipei continue to renovate the temple as they continue their worship in the place. The temple's architecture has three sections, there are the front halls, then the rear hall and the right/left dragons protecting the middle hall. There is a pair of dragon poles in the front hall and four pairs in the middle hall, which were made from bronze. The well and Buddha are in the main hall, also seem from the temple were Chinese poems, verses and lyrics. Many worshipers coming in every Lunar Year / Chinese New Year. Expect the heavy flow of worshipers during those days. There are streets shops and booths, fortune tellers, antique shops, Buddhists article shops, and Chinese medicine shops surrounding the temple. From Taipei Main Station, take the Blue Line to Longshan Temple Station, it is located north of the station plaza via Exit 1 from the station.